'Everything about me is in my films,' Steven Spielberg has said. 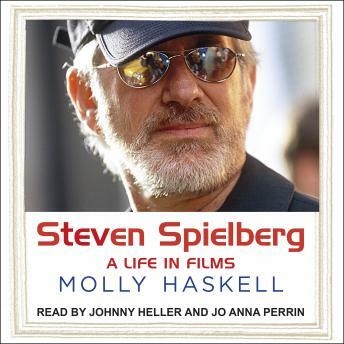 Taking this as a key to understanding the hugely successful moviemaker, Molly Haskell explores the full range of Spielberg's works for the light they shine upon the man himself. Through such powerhouse hits as Close Encounters of the Third Kind, E.T., Jurassic Park, and Indiana Jones, to less-appreciated movies like Empire of the Sun, to the haunting Schindler's List, Haskell shows how Spielberg's uniquely evocative filmmaking and story-telling reveal the many ways in which his life, work, and times are entwined. Organizing chapters around specific films, the distinguished critic discusses how Spielberg's childhood in non-Jewish suburbs, his parents' traumatic divorce, his return to Judaism upon his son's birth, and other events echo in his work. She offers a brilliant portrait of the extraordinary director-a small, unhappy boy living through his imagination who grew into a man whose openness, generosity of spirit, and creativity have enchanted audiences for more than forty years.